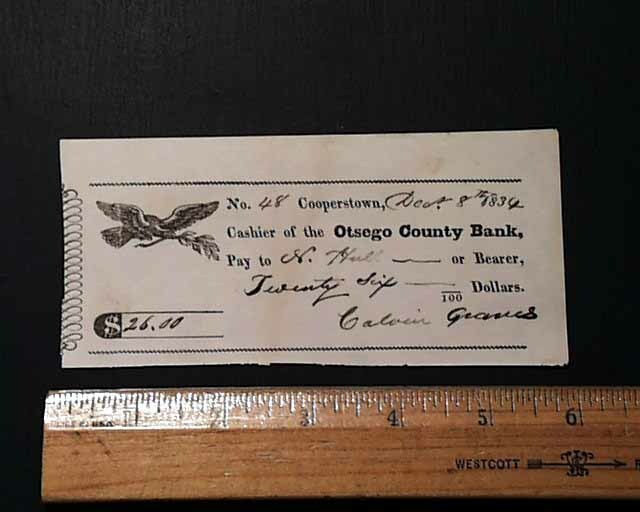 Item # 583773 This is a genuine check written on the "Otsego County Bank" of Cooperstown, New York dated 1834. Included is the amount in the lower left corner with a signature in the lower right. There is a nice engraving of an eagle with an olive branch in its beak (see images). An early financial item & great to have from this town famous as the home of the Baseball Hall of Fame. Measures 2 3/4 by 5 1/2 inches and is in nice condition. 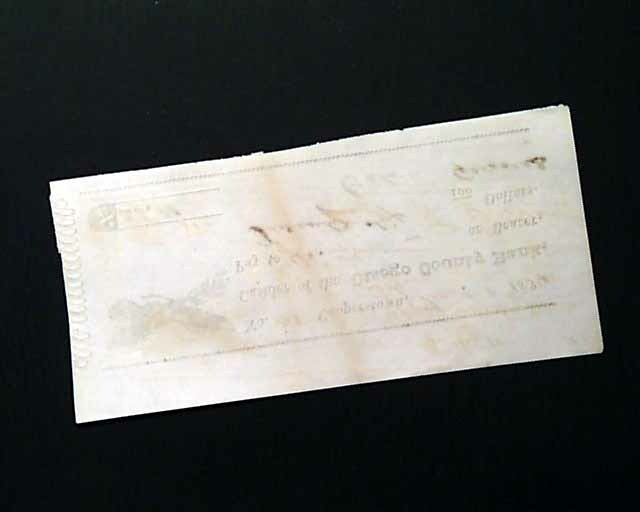 The photo shows one of several we have so your check will look almost identical but with slight variations in the handwritten notes.